StartUp Cup Challenge is designed with a powerful mentoring and business model development approach at its heart. This approach supports business builders to accelerate building and testing their business models with real customers. The resulting interactions improve the likelihood of generating revenue and building a viable business, of any type, in a shorter period of time. Sean Griffin, Founder of GriffinWorx and designer of the StartUp Cup Challenge created this presentation, explaining how best to prepare your business to compete, and more importantly win one of our eBay StartUp Cup Challenges. The Business Model Scorecard (BMSC) is a self-guided visual thinking tool that will be utilized during the eBay StartUp Cup Challenge. 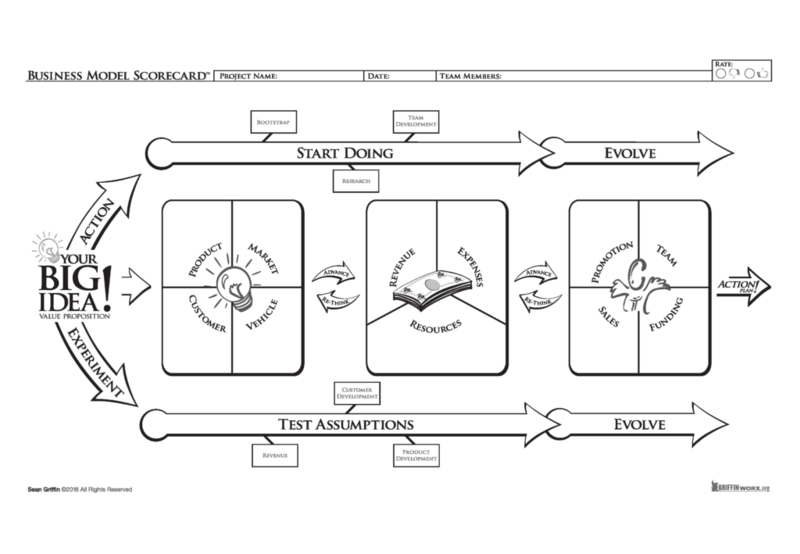 This visual thinking tool is designed specifically to support business builders, with any type of idea, to work through the universal steps of designing, testing and building a viable business. With over 250,000 BMSCs in use today, it has proven to reduce the time it takes to go to market, start generating revenue and building a sustainable business.